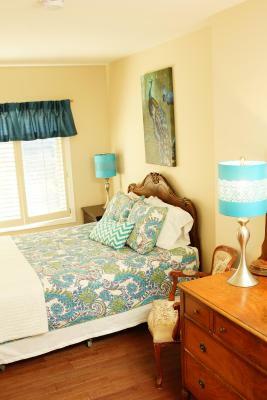 Lock in a great price for Butterfly Manor – rated 9.4 by recent guests! Very clean and welcoming. Well maintained. Felt like home. Great breakfast and atmosphere. The owner and host, Ted, was most gracious. We thoroughly enjoyed chatting with him at breakfast. And, because we were staying longer than any other guests he upgraded us to the largest room which was spacious and lovely. Breakfast was good and the location was perfect; quiet but extremely convenient to the bus route. We would most definitely stay there again given the opportunity. I had a great stay at Butterfly Manor. It was near the Falls but away from the carnival atmosphere in the town. The hosts were very gracious. The room and building were very clean. It was a good value for the price. Home is beautiful and located where one can go on nice walks along the Niagara river. The room was big, comfortable and clean. The staff was very friendly, offered up drinks and snacks in the evening while we were playing cards in the community room. Since we had to leave early in the morning, before breakfast was served, the host fixes us a breakfast to go. The couple was super. Thank you!!! The breakfast was excellent! The bathroom was spacious. The one bed was very firm, that is the one I liked very much. It was pretty quiet for being on a busy street. Enny was very helpful as to how far things were. Free parking in lot. Nice neighborhood! There was a sitting area right outside our room & downstairs had plenty of space to sit, but we were only there one night so we were gone most of the day. Nice Towels too! Great location and host (Eny is very welcoming). Good Breakfast. 15 min walk to the Falls. The location. 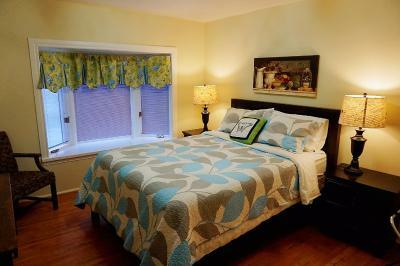 It's clean and the host was very, very polite , friendly and professional. I will definitely come again, and without hesitation, would recommend Butterfly Manor. Thanks. One of our best sellers in Niagara Falls! 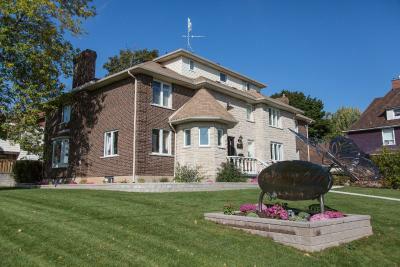 Surrounded by well-tended grounds, Butterfly Manor is just 1.9 mi from the popular Niagara Falls. 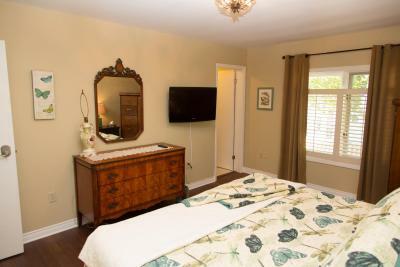 It features free Wi-Fi, a daily homemade breakfast and tastefully decorated accommodations with a flat-screen cable TV. 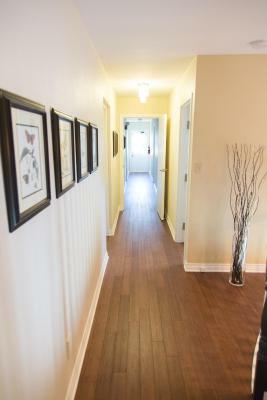 Each room is fitted with wooden flooring and enjoys an private bathroom. Towels and linens are provided. Some have views of the gorge. 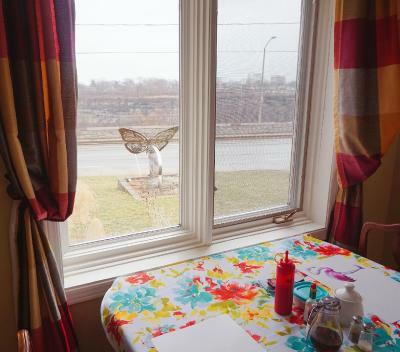 Butterfly Manor is 1.9 mi from both the Fallsview Casino and the Rainbow Bridge. Niagara-on-the-Lake can be found 14 mi away. Parking is provided on site at no extra charge. 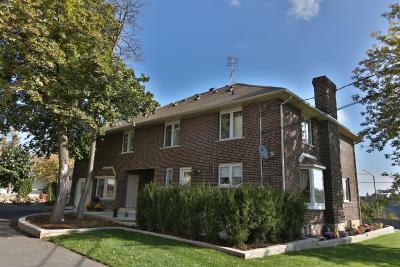 뀐 Located in the top-rated area in Niagara Falls, this property has an excellent location score of 9.3! When would you like to stay at Butterfly Manor? 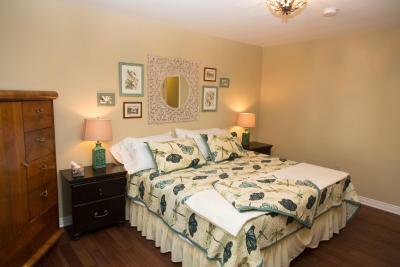 Also called the Blue Holly Room, this spacious room is located on the second floor and overlooks the Niagara River. It includes an en suite four-piece bathroom. Either the Painted Lady (ground floor) or Peacock Room (second floor). 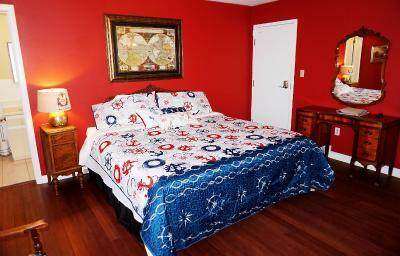 These rooms are tastefully decorated and overlook the Niagara River and Niagara Parkway. 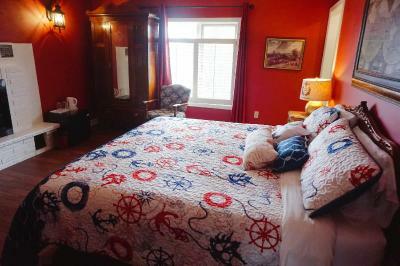 They include a queen-sized bed and four-piece bathroom. Either The Emerald Room or Red Lace Room (both second floor). 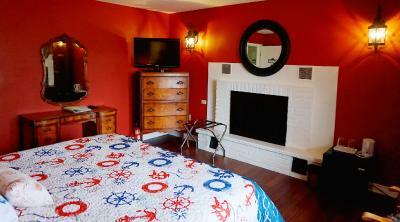 These tastefully decorated rooms includes a king-sized bed and four-piece private bathroom. 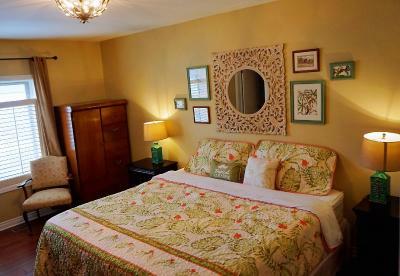 Located on the third floor, this spacious suite includes a queen-sized bed in one room, and a separate room with two single beds and a portable bed. It has a 4-piece bathroom. 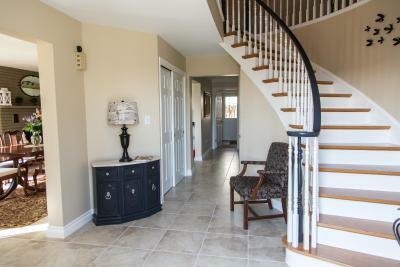 This suite overlooks the Niagara River and Niagara Gorge. 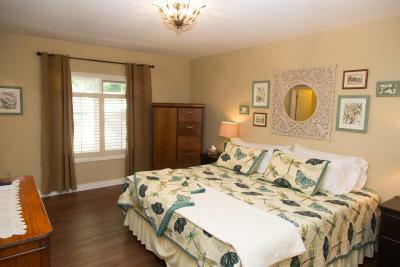 The small Family Room is designed for a couple and another individual. It contains a queen bed and twin bed. This room includes a four-piece bathroom. A modern building specificially designed as a Bed and Breakfast, all rooms have ensuite bathrooms and we serve a full, delicious american style breakfast. Tastefully decorated, spacious and comfortable rooms will ensure a memorable highlight of your travelling experience. 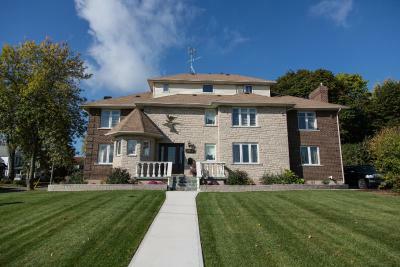 Located on the Niagara Parkway, our property overlooks the Niagara River and Niagara Gorge. House Rules Butterfly Manor takes special requests – add in the next step! Butterfly Manor accepts these cards and reserves the right to temporarily hold an amount prior to arrival. Please inform Butterfly Manor of your expected arrival time in advance. You can use the Special Requests box when booking, or contact the property directly using the contact details in your confirmation. In our room it was not any desk, and as suggestion I would like to ask the manager to put a desk in each room. This property was really clean, with good breakfast. Location is good close to border and Niagara falls, not crowded. It is a cozy place with pleasant staffs. Bathroom and rest room were clean and spotless. A bedside lamp would have been appreciated. Lovely property, friendly hosts and delicious breakfast. The rooms were very nice and staff was friendly. Our host Ted was extremely helpful and accommodating throughout our stay. Our room was spacious and clean and the communal area (kitchen/dining) was lovely. We only spent a couple of days here, but thanks to Ted we managed to see everything of interest in the region. Would stay again. Charming room. Friendly host in Ted. Walking distance to Falls. The location and the service. The property was maintained very well and the staff provided excellent service! Well, if there is anything I didn't like, it would be the cleanliness of the room. The owner was great!! Very kind guy and the breakfast was incredible! Second time staying here and was so nice, peaceful and comfy. The place is quiet. The staff are so friendly and cook you a nice breakfast when you wake up in the morning. They upgraded our room from queen to king for free because they had the capacity on the night we stayed. Over all just a nice place and it’s not too far from the falls( 2 -3 min drive). We love the location cause it’s so close to everything but far enough from a lot of the hectic areas. Free parking is a bonus! Because we stayed longer than most we noticed a repeat in breakfasts. More variety might be nice. Also, would've LOVED having a working fireplace...but don't know it that is doable.